Leading Manufacturer and Exporter from Ghaziabad, our product range includes Tractor Mower such as Residential Ride on Tractor Mower, Garden Tractor Mower with Trolley, Riding Tractor Mower and Ride on Tractor Mower. 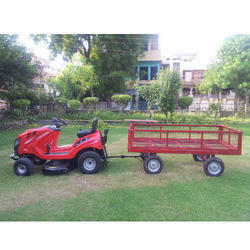 We are remarkable entity, engaged in offering superior range of Garden Tractor Mower with Trolley. Our offered mower is manufactured by our skilled professionals using high grade components and latest technology in compliance with the industry quality standards. In addition to this, our provided mower undergoes various tests under the supervision of quality controllers to ensure their flawlessness. 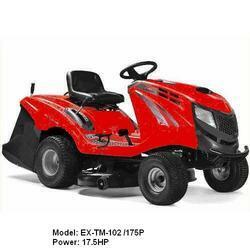 Clients can avail this mower from us in customized options and at market leading rates. Owing to perfection and quality oriented approach, we have carved niche in the industry by offering an enormous grade array of Ride on Tractor Mower. This mower is widely demanded by our clients for its excellent design, easy and reliable operation. 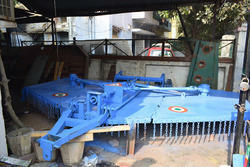 The offered mower is available in various models and specifications, as per the requirements of our esteemed clients. High grade raw material is used by our professionals, along with contemporary production equipment to manufacture the entire range. A Ride on Tractor Mower with 17.5 Hp Briggs & Stratton engine and cutting width of 42 inches easy to handle, most adaptable and very convenient for lawn and garden with 12 volt electric start engine best matched for optimum performance and low noise.